Comment: Two rooms and two flights of 5 stairs. Dog owners. Alot of shedding. Comment: 24 year old carpet that needs a thorough cleaning. House is being listed for sale and anticipate buyers will replace the carpet. Nonetheless, the carpet needs deep cleaning and maybe deodorizing prior to listing. There are spots that are bleached out on the carpet from attempts at removing a stains. 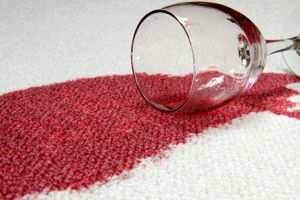 The carpet cleaner should use powerful detergent or solvents to clean carpet without fear of further bleaching. There are four bedrooms, hallway, staircase, family room, dining room, and living room that need cleaned. Most furniture is already moved. Colorado Springs Carpet Cleaning Services are rated 4.77 out of 5 based on 560 reviews of 23 pros. Not Looking for Carpet & Upholstery Cleaning Contractors in Colorado Springs, CO?